Premier Lawn & Landscape Services, Inc. is fully equipped to handle storms of any severity. Plowing is just one aspect of how we manage winter storms. We also offer walkway and step shoveling. 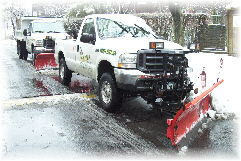 Additionally, we supply and apply deicing materials such as calcium chloride and rock salt. For the worst of storms/winters we are also able to offer relocation of snow so communities may avoid large mounds of hard packed snow in undesirable locations. 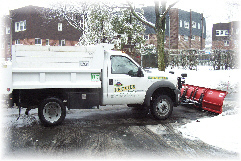 We are only able to offer snow and ice management services to condominium and homeowner associations. We regret that we are unable to offer this service to residential homeowners.